eLearning as an industry is growing, meaning that your battle for leads is only going to become more difficult. In this article I'll walk you through a step-by-step procedure for creating and beginning to develop your own eLearning content marketing strategy today. eLearning content marketing is huge right now; 86% of B2Bs, 77% of B2Cs, and 61% of non-profits in North America are using content marketing in 2015 (Source: Various CMI Reports). But why should your eLearning company develop its own content marketing? Well, how does this sound? Appealing to your existing audience; but at an earlier stage in the decision making process. Extending your audience, attracting new types of prospects. Providing you’re in the position to be able to hire suitable expertise, your content marketing will only cost their time. Content marketing is truly valuable for increasing brand affinity. Why? Regularly expressing your thoughts on issues that matter using your own unobtrusive platform allows you to build a voice, without irritating anybody. Remember, with content marketing you are not asking anything of anyone; you have been found by visitors on their own accord. Those who share your voice will quickly form a fiercely loyal community. With many traditional advertising methods, you’ve only got just one opportunity to communicate with your potential customers; how do you pitch it? Too little info and you’ve missed the opportunity, whilst too much sales-orientated content and you’ve pushed them away for good. With eLearning content marketing, you have as much time, media space, and opportunities as you need in order to deploy your message to perfection. Raise awareness of your brand and what you do. Now that you have an audience that are interested in what you have to say, you can say what you really want and need to be saying. That is, you can start talking more about you, and what your company has to offer. Don’t be afraid to (gradually, of course) begin to weave some subtle prompts towards buying your products or services. The best part of this strategy is that you are able to retarget this pool of already informed prospects with other channels; in time, you’ll have converted at least a small % of this audience into buying customers - and it all began with your content marketing. Yes, there are plenty of other customer acquisition strategies available to you. Okay, sure, advertising your brand has never been easier; your options have never been so plentiful. But can you afford to not be content marketing? I thought so. 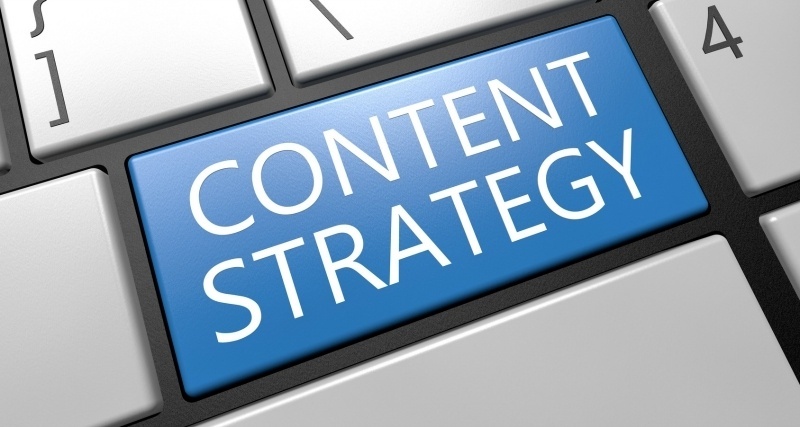 What follows is a step-by-step strategy for developing your content marketing strategy. But wait, who are you and what authority do you have in advising me on Content Marketing in eLearning? My name is Jordan and I work in digital marketing for High Speed Training, an innovative eLearning provider based in the UK. I’m responsible for developing and managing our content marketing strategy on the Hub. Who uses your product/service and why? Which groups of people would be interested in your offering? These are the initial questions that you should be posing to yourself and your team before beginning the first stages of your eLearning content marketing strategy development. The answers to these questions will guide your keyword research. Get comfortable with Google AdWords Keyword Planner; there are plenty of helpful (and free!) tutorials on how to use the Keyword Planner out there, and you’ll be able to pick up the basics very quickly. Now, with the above questions in mind, begin researching different keywords relevant to your businesses unique offering. Keep it pretty general at this point. Have a quick browse of some of the suggested keywords; do they seem in line what your organization sells? If yes, download each list into a single spreadsheet. Once you’ve compiled all this data into one spreadsheet (separate different product/service areas by tabs for ease of navigation), you can sort your keywords by metrics such as search volume to make your data easier to filter. You’re looking for search terms with sufficient search volume, but nothing too generic. Chasing broad search terms such as “Learning Management System” with high search volume is redundant. Yes, even a small percentage share of that traffic will provide your website with a lovely traffic boost, but can you guarantee that you’ll even rank on the first page for such a term? Craft a unique article idea/title around. Actually look at the SERP (Search Engine Result Page) for that specific term. Which websites are listed there? Of what quality and relevance are their posts? Online learning courses for pupils. Learning Management System for schools. Now, manually look through your keyword data for opportunities that have sufficient search volume, and which you have the ability to create content that will rank for, using the methods I described. So, now you’ve pulled all of your keywords that you’ve decided you can create content from, rank for, and subsequently receive a satisfactory return in relevant traffic as a result. Don’t worry, that time spent on those glorious spreadsheets will pay off! Now you need to begin generating actual ideas around all this data. Crafting article titles around your targeted keywords is perhaps the most fulfilling aspect of your eLearning content marketing strategy development. You’ll start to see the actual forming of what your content might look like in this stage. Just keep in mind that you don’t have to stick rigidly to the exact keyword that you’re targeting; you can receive relevant traffic from keyword variants. Example: Continuing the example used earlier, let’s say you found the keyword “eLearning courses for schools” from your broad keyword research of the keyword “eLearning for schools”. Now, you could of course simply create content with the title “eLearning courses for schools”, and then proceed to create content that lists and details the courses that you provide which are suitable for schools. However, this is likely to be a highly crowded Search Engine Result Page with little differentiation between results. Instead, you could produce an article with the title, for example, “Why eLearning courses for schools is a growing phenomenon”; this is just an illustrative example of course. In doing so, you would still have the ability to rank for the target keyword, but also enhance your content’s ability to rank for keyword variations. Furthermore, your listing will stand out in the Search Engine Result Page because it will have a title with a different slant to your competitors. 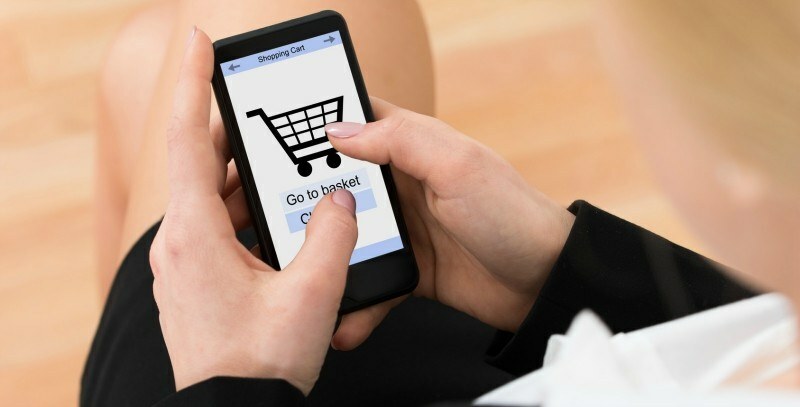 In addition, your listing will also seem less sales-like, meaning that searchers may feel more comfortable clicking on your site in the Search Engine Result Page. Even if they’re not quite ready to purchase yet, you now have the chance to write content that can convince potential customers of the benefits of your offering in a non-pushy way, which is a rare opportunity. You have your list of article ideas and titles based on solid keyword data; so now you need to decide when you’re going to publish all this content. First off, get yourself a content calendar. 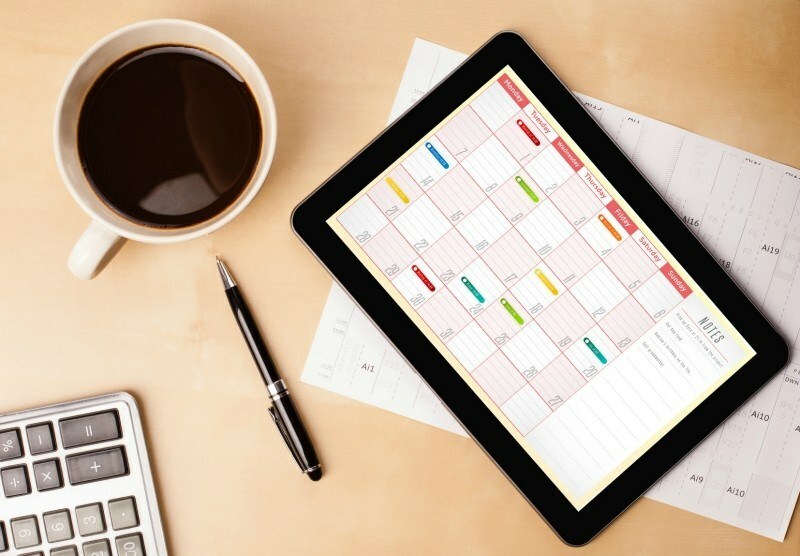 You can make your own custom calendar yourself using familiar tools such as Google Sheets, Microsoft Excel, or Google Calendar. Alternatively, consider a free content calendar template or a more comprehensive paid solution such as CoSchedule. Release of your courses, Learning Management System updates, etc. Relevant seasonal and industry events, occasions, etc. eLearning is a growing trend; and to keep up with all the developments in this digital industry, you’ll need to post more than just once or twice each month. With a calendar you can keep track of posting frequency -including days and times- and measure this to understand at which times your content performs best upon release. You need to be able to synchronize the release of your courses, Learning Management System updates or other important landmarks related to your products/services with complementary content. A calendar allows you to monitor this calendar year’s various seasonal and industry events that are relevant to your organization; see how they fit with your schedule and what you can do to incorporate them if appropriate. Think about what value you can add in terms of content to the buzz around each event. Integrating your social scheduling with your content management calendar will allow you to swiftly identify whether there may be any clashes or conflicts of interest with what you have planned on your social platforms. Finally, and importantly, time implications; scheduling assists you in making sure that you don’t end up having no content available to post because it’s just not yet ready yet. As long as you are able to come up with reasonable timescale estimates per post in advance, you can then assign these posts to the most suitable members of in-house staff who are available and possess the suitable expertise to be able to produce the content. It is beyond the capabilities of your organization’s shared in-house knowledge. It will provide better results to outsource. It is cheaper and/or easier to outsource. There is a lack of availability/resources to produce that content in-house at that particular time. Whether you produce the content in-house or outsource it, in using a content calendar you’ll be able to plan ahead with increased ease and put in place the necessary arrangements to ensure your content is produced in time to meet the demands of your schedule. 4. Post posting your posts. 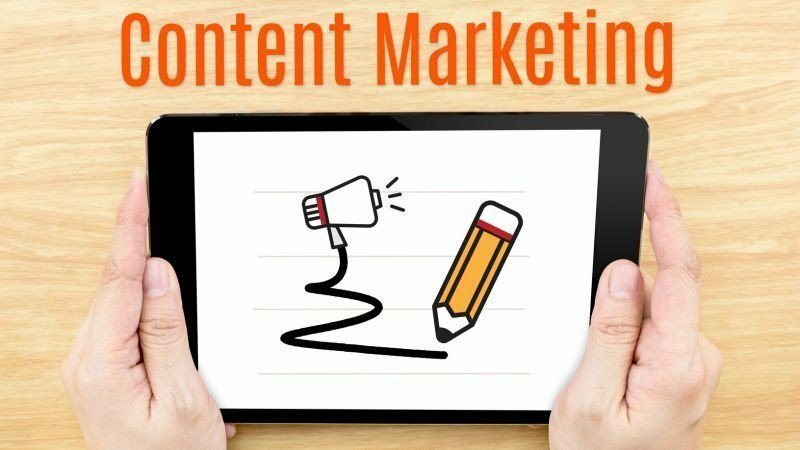 Once your content has been published, there are a few final steps that you must take which are absolutely crucial in the execution of a successful eLearning content marketing strategy. Use a website such as Ping-o-Matic! to let the search engines know that you’ve updated your blog. 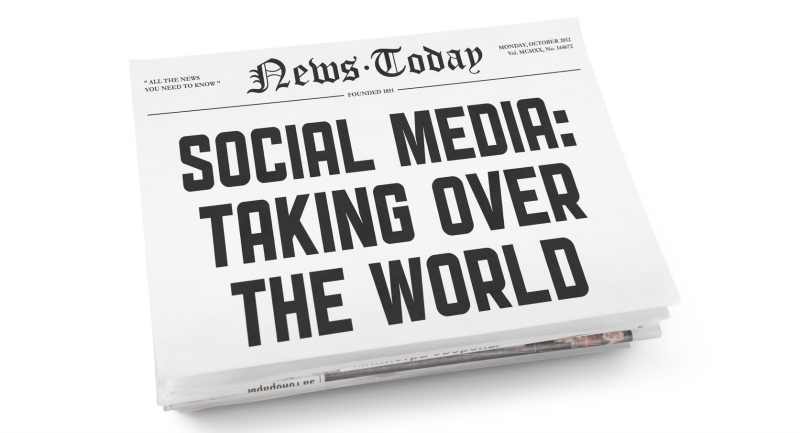 Promote your content on social. Okay, this is the obvious one; most companies do this, and I’m sure I don’t need to go into why you need to share your content on your social networks! If you are in the small minority of companies that aren’t doing this, then get on it! 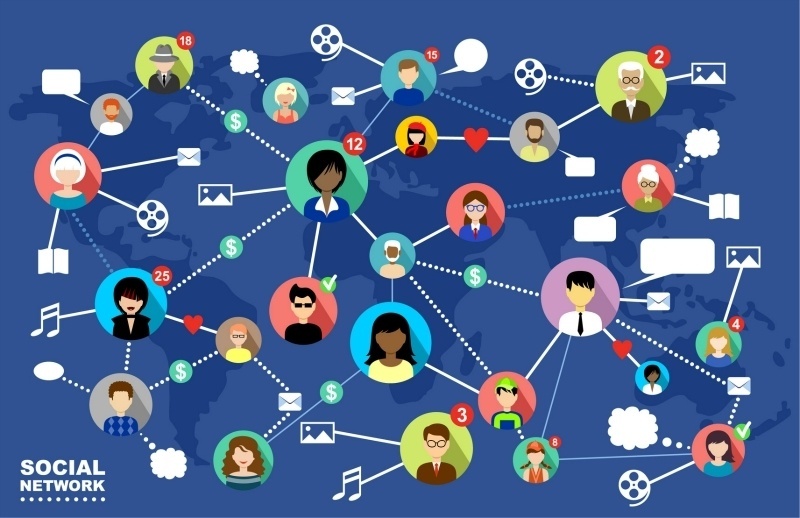 Present your content to influencers. Almost every field has experts, or influencers, who are recognized authorities on a specific subject, and as such usually have a significant following. Presenting your content to those relevant influencers increases the exposure of your content, and will add weight to your claims if backed by an expert. Locate discussions, forums, etc. around the topic. Your content might well have the ability to solve problems that people are talking about in forums and blogs online right now. Use BuzzSumo to identify any discussions going on around the topic of your content and get involved, sharing your content if it helps people or is relevant to the conversation. Don’t forget to track and measure the performance of your content! You should feed this data back into the earlier stages of your eLearning content marketing development strategy to establish the success of your efforts; you can then tweak your strategy accordingly. Is your content not receiving much traffic? Check whether it’s a problem with how well your content ranked, or if the keyword simply isn’t producing much traffic; this will help guide your future keyword research. Following the advice on offer in this article will provide you with an excellent framework from which to develop and tailor your content marketing strategy to the needs of your organization. Tweak and refine as you see fit, but don’t forget the core principles covered here.